Perhaps it’s obvious, but a good definition of expectancy is: the state of expecting that something, especially something good, will happen. Many people ask what the difference is between expectancy and belief. I’d sum it up like this: you may believe you are able to do something, but you may not expect to do it. Similarly, when it comes to using our Law Of Attraction, expectancy is knowing that you will receive your desired outcome. By contrast, belief is the quality of knowing your objective will come if you claim it. 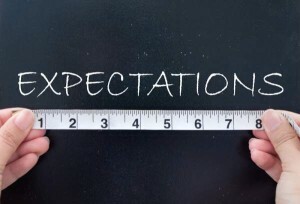 Holding the correct expectations is key to manifestation. This is called expectancy. And receiving your objective is, of course, the process of manifestation or creation. But how do you cultivate expectancy, or the certainty that you will be able to manifest something? Expectancy is a powerful magnet, perhaps as powerful as desire. I’ve certainly experienced manifestation when my belief has been lacking, but my expectation is been absolute. Things have still manifested easily. The same has been true for me in reverse. Even so, let’s remember that combining strong expectancy and absolute belief with a good amount of our old friend desire is the easiest, simplest and quickest way to manifest anything – because those are the qualities which make any Law Of Attraction jump to your service. So what stops people holding positive expectancy? Three main things. 1) Self-doubt, almost always based on previous experiences – experiences of not getting what you want, needless to say. 2) Fear, which distracts you from certainty and sets up doubt. 3) And losing focus: taking your mind off the objective you want, and forgetting that you are expecting it to happen. All of these things can be avoided by using some simple techniques: self hypnosis, visualization, autosuggestion, hypnosis, brain reprogramming and more …. there must be a thousand different techniques you can use, and all of them focus on one particular thing: getting rid of negative beliefs and allowing you to maintain a positive attitude of belief and expectancy. You see, for as long as you believe that your history is going to dictate your present and your future – it will do. Sidebar: I look at ways to shed limiting beliefs on another page of this website. If you hold a belief at some level of your being that, say, you never get what you want, then how do you think a Law Of Creation or Attraction will work for you? As long as you believe that you’re never going to get what you want, then you can never expect to get it. It’s impossible to hold a positive expectancy of success in the face of such beliefs. So as always, eliminating negative beliefs is the first step. Simply believing that manifestation of your desires is possible will aid the process of manifestation and make a law of attraction work for you. Sidebar: There’s another page on this website which is devoted to ways in which you can change your belief system. Once you believe you can get what you want, it becomes possible to expect it. Yet even here your history plays a vital part in determining whether or not you’re able to sustain that expectancy. You may have expected things many times in the past, only to be disappointed: after all, that’s what happens to children as a matter of course. And if you take that mindset into adulthood, then your expectancy will be weak. To deal with this, one practical approach is to assume a positive mental attitude. 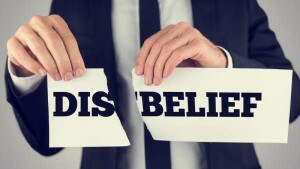 Mike Dooley has a useful tip for doing this: he says that if you lack complete 100% belief and 100% expectancy, then simply allow yourself to doubt your disbelief or your negative expectancy! In other words, you can doubt that they are correct. Nothing more than that! Simply allow yourself to doubt that your doubts are valid! You see how this works? By opening up the possibility that your negative beliefs and your lack of expectation are actually wrong, you open up the possibility that a different reality can operate for you. A positive attitude is essential for creating your reality. What I see going on here is this: what Rhonda describes as “feeling good” is actually about having positive expectancy. For me, positive expectation makes me feel good – which means it makes me feel joyous and happy and, believe it or not, I then look forward with excitement to getting what I want. Now, feeling good is an art rather than a science, and there are plenty of ways to shift your mood so that you do feel good. You can use imagery. Visualize yourself stepping into your power, and casting aside your negativity in whatever way fits for you. You can play suitable self hypnosis tracks through headphones every day. We’ve already seen how positive affirmations can change your mental attitude – you can adapt those affirmations so that your expectancy is enhanced and resolute. Of course, you will be tested: changing your mood takes practice and persistence – so don’t give up when, after two days of trying, something negative happens to destroy your mood. You’ll need the determination to continue changing your mood by programming yourself in this way for up to 6 weeks before it becomes an ingrained habit, and even then you’ll need to maintain the practice. When you absolutely expect something to happen you really do control your reality. It’s simply the universal Law of Attraction at work again. To recap: if you take steps to change your thinking so you only focus on positive outcomes – by changing your thinking habits – you’ll find it easier and easier to manifest what you want. Suppose that you are trying to manifest abundance – financial abundance. Imagine that you’re in debt, and every time an envelope drops in your mailbox, you expect to find yet more financial challenges inside it (in the form of bills). What do you think you’re attracting to yourself with these expectations? You’re expecting debt, you’re expecting more debt. That’s what makes it show up in ever greater quantities. Your mindset is wrong. You miss opportunities for changing the situation. You are blinded by your expectations to other possibilities. So would it be possible for you to expect a check to arrive through the mail instead? Would it be possible for you to expect abundance to come your way? That means you have to expect the things you want. You simply stop expecting the things you don’t want. 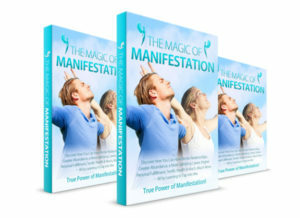 Neville Goddard, who was one of the finest early 20th century teachers in the field of self-determination, manifestation and creation, offered a process that you can use every night to change your expectations. He suggested that every day, when you are in bed, before you go to sleep, you think through the events of the day. And for those events which could have gone better, or didn’t meet your expectations, or which didn’t go the way you wanted, he suggested you simply replay them in your mind in a way that really excites you. By the simple act of recreating those events in your mind you change your mindset and your expectations for the next day: in fact, you help yourself create a different future. By changing your expectations to more positive ones, you can bring more positive and creative energies to you. Expectancy is a state of mind. Worth repeating: by changing your expectations to more positive ones, you can bring more positive and creative energies into your life. This is one of the reasons why people think of gratitude as a powerful and effective way of changing your expectations of the world. Almost without exception, practitioners of the art of creation talk about gratitude as a powerful force which helps them achieve their goals. 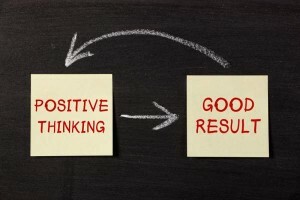 And it works by changing the way you think and feel….. it makes you more optimistic and positive. It empowers your expectations. For example, to use gratitude, you can begin your day by finding things in your life about which you can be grateful. There’s no question that gratitude changes your mental state, your expectations of life, your expectations of yourself. It’s an amazing process, and highly recommended. So what exactly is a gratitude process? Well, basically it’s about feeling different, more thankful, for what you already have. In other words, you can start by feeling grateful for what you already have. And somehow, tying into the universal laws, your experience of gratitude on a regular basis – by which I mean many times a day – will actually attract more of the good things into your life. In short, practicing gratitude changes your expectations. You see, you can’t move into a more abundant or desirable place in your life when you’re feeling resentful about what you already have (or lack). Whether you feel resentful, dissatisfied, mean-spirited, angry, envious, or whatever, these feelings are negative emotions that block good things from coming to you, and send out negative vibrations that repel any change. In The Secret, Rhonda Byrne describes how she thanks the universe for the things around her from the minute she steps out of bed. She continues to say “thank you” to the universe hundreds of times a day. Sure, this may seem difficult, particularly if you’re in a negative place. But you have to make a start somewhere, because our Law Of Attraction receives grateful thoughts, well, gratefully, and then gives you more things to be grateful about. But not only does gratitude change your mental attitude into one where you can hold positive expectations, it actually turbocharges your creative process. Because if you give thanks in a way that you would if you had already received what you want, you’re sending a powerful signal to the universe. 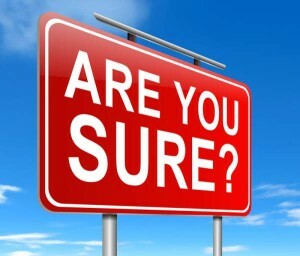 Perhaps you have heard the advice often offered to people who are trying to manifest their desires that they should act “as if” they already have what they want? You can do this by feeling deep gratitude in advance of receiving your desired outcome. Three times a day, find ten things you are truly grateful for, which may range from the major (like being alive, having enough food to eat, having a beautiful child, having the ability to read, speak, or think, to the minor – be grateful for the color of grass, or the smell of a rose, or the taste of piece of fruit. It works either way. Your gratitude doesn’t have to be major; it only has to be genuine. And after a week, or two weeks, or at the most three weeks, you will find that your mental outlook is much more optimistic, much more positive. And then you will find it much easier to hold positive expectations. Read more about how to set up your gratitude process here.